This article is about the membership level for youth 11 to 17 years of age. For the national organization, see Boy Scouts of America. Scouts BSA (formerly known as the Boy Scouts) is the flagship membership level of the Boy Scouts of America (BSA) for boys and girls between the ages of 11 and 17. It provides youth training in character, citizenship, and mental and personal fitness. Scouts are expected to develop personal religious values, learn the principles of American heritage and government, and acquire skills to become successful adults. To achieve these, Scouting applies eight methods of Scouting: Ideals (viz., the Scout Oath, the Scout Law, the Scout Motto, and the Scout Slogan), the patrol method, participation in outdoor programs, advancement, adult association, personal growth, leadership development, and the uniform. The participants, known as Scouts, are organized in Scout troops, administered by volunteers with support of paid professional staff. Youth and adult members are referred to as Scouts, and the adult leaders as Scouters. Prior to February 1, 2019, the program was called Boy Scouts, and girls were not allowed to participate. In 1994, The Chronicle of Philanthropy, an industry publication, released the results of the largest study of charitable and non-profit organization popularity and credibility. The study ranked the Boy Scouts as the 7th "most popular charity/non-profit in America" of over 100 charities researched with 42% of Americans over the age of 12 choosing Love and Like A Lot for the Boy Scouts . The troop program and activities are determined by the senior patrol leader and the patrol leaders council under the oversight of the Scoutmaster. Troops generally hold meetings weekly, although they can be irregular during the summer. Troop meeting activities may vary from training in Scout skills to planning camping trips or playing games. Troops may plan outings and activities outside the troop meeting. These may involve camping, backpacking, hiking, canoeing, rafting, climbing, caving, rappelling, and other activities. These outings are an important place for Scouts to work on skills and rank advancement, have fun, and engage in productive outdoor activities. Most councils own and operate one or more permanent camps. These camps may host a variety of activities throughout the year. The summer camp program provides a week-long session for troops that includes merit badge advancement and adventure activities. Facilities may include ranges for shooting sports – archery, rifle, and shotgun – and for climbing and rappelling. It is common for several troops within a district or council to gather at least once a year at a special weekend campout called a camporee. A camporee is a district- or council-wide event where several units camp and engage in activities, Scoutcraft competitions and learn specialized skills. The national Scout jamboree usually occurs every four years, and draws more than 30,000 Scouts from across the country and the world. The last jamboree took place in 2017 at The Summit Bechtel Family National Scout Reserve in West Virginia. The Summit is to be a permanent place for the Jamboree and an opportunity to construct a new high-adventure base. The Scout Law, Scout Oath, Scout Motto, Scout Slogan, and Outdoor Code are the cornerstones of Scouts BSA. Each Scout learns to make these ideals a part of their way of life and personal growth. Scouts must memorize and understand these ideals. They also represent these ideals symbolically in official emblems. 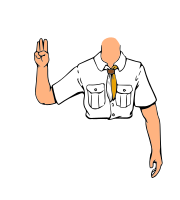 The Scout Sign is used when giving the Scout Law or the Scout Oath and as a signal for silence. The Scout Salute is used when saluting the flag of the United States. The left-handed handshake is used as a token of friendship and as an identity with Scouts worldwide. Scouting uses a series of medals and patches as emblems. The badge for the Scout rank consists of a simple fleur-de-lis, which symbolizes a compass needle. The needle points the Scout in the right direction, which is onward and upward. The Tenderfoot badge takes the fleur-de-lis of the Scout badge and adds two stars and an eagle with an American shield. The stars symbolize truth and knowledge; the eagle and shield symbolize freedom and readiness to defend it. The Second Class badge features a scroll inscribed with the Scout Motto, with the ends turned up and a knotted rope hanging from the bottom. The knot reminds each Scout to remember the Scout slogan, and the upturned ends of the scroll symbolize cheerfulness in service. The First Class badge combines the elements of the Tenderfoot and Second Class badges. For years, the First Class badge was used as the emblem of the BSA. Star has a First Class symbol on a five-pointed yellow star, and initially indicated the five merit badges required to earn the rank. Life has a First Class emblem on a red heart, and initially symbolized the first-aid and health-related merit badges that the rank required. Now it signifies that the ideals of Scouting have become a part of the Scout's life and character. The uniform and insignia of the Boy Scouts of America gives a Scout visibility and creates a level of identity within both the unit and the community. The uniform is used to promote equality while showing individual achievement. While uniforms are similar in basic design, they do vary in color and detail to identify the different divisions of Cub Scouts, Scouts BSA, Venturers, and Sea Scouts. Scouts and adult leaders wear the Scout uniform. It generally consists of a khaki button-up shirt, olive green pants or shorts, belt, socks, and optional neckerchief. The Scouter dress uniform is appropriate for professional Scouters and Scouting leaders on formal occasions. The troop is the fundamental unit of Scouts BSA. The troop size can vary from a minimum of five Scouts to several dozen. Each troop is sponsored by a community organization such as a business, service organization, private school, labor group, or religious institution. The chartered organization is responsible for providing a meeting place and promoting a good program. A chartered organization representative manages the relationship between the troop, the chartered organization, and the BSA. While boys and girls are members of Scouts BSA, individual troops are single gender. A boy and girl troop may however share a common Troop Committee made up of adult leaders, parents of Scouts, and other interested parties that manage membership, finances, camping arrangements, and chartered organization relations among other responsibilities. Each troop is divided into patrols of eight or so Scouts led by a patrol leader elected from within the patrol. Patrol meetings are generally held during the weekly troop meeting. The patrol's independence from the troop varies among troops and between activities. Patrols' autonomy becomes more visible at campouts, where each patrol may set up its own camping and cooking area. Divisions between patrols may disappear during an event which only a small part of the troop attends. Patrols may hold meetings and even excursions separately from the rest of the troop. Commonly, troops mix older and younger Scouts in the same patrols, so that the older Scouts can teach the younger ones more effectively. When a Webelos den crosses over from Cub Scouting to Scouts BSA, the "new Scout patrol" method may be used. The new Scouts are kept together as a group, elect their own patrol leader, and are assigned a troop guide—an older Scout who acts as a mentor. Some troops may have an older Scout patrol that experiences more autonomy from the troop and provides older Scouts with expanded social contact and physical challenges. The Lone Scout program serves youth who cannot take part in a nearby troop on a regular basis because of distance, weather, time, disability, or other difficulties. While the Lone Scout does not participate in troop or patrol activities, he or she does learn the fun, values, and achievements of Scouting. The Order of the Arrow (OA) is a program of the Scouts BSA, Venturing, and Sea Scouts divisions of the BSA. It is the BSA's national honor society for experienced campers, based on Native American traditions, and dedicated to the ideal of cheerful service. Scouts and Scouters must belong to a troop, crew, or ship to become OA members. The OA is run by youth under the age of 21 with adult Scouters serving as advisers. Scouts BSA has seven ranks that can be earned, grouped into two phases. The first phase of Scout, Tenderfoot, Second Class, and First Class is designed to teach Scoutcraft skills, teamwork, and self-reliance. Scout is the first rank, and requires demonstration of knowledge of Scouting's ideals, the process of rank advancement, troop and patrol structure, and some basic skills (e.g., knot-tying and knife safety). As with all other ranks, a Scoutmaster conference is also required. Further ranks have progressive requirements in the areas of Scoutcraft, physical fitness, citizenship, personal growth, and Scout Spirit. These ranks also require participation in a Board of Review. Scouts with a permanent mental or physical disability may use alternate requirements, based on their abilities and approved by the council. The second phase of Star, Life, and Eagle is designed to develop leadership skills and encourage the Scout to explore potential vocations and avocations through the merit badge program. These ranks require that the Scout serve in a position of responsibility and perform community service. The Eagle Scout rank requires, in addition to merit badges and a position of responsibility, a community service project planned and led entirely by the Eagle Scout candidate. After attaining the rank of Eagle, a Scout may earn Eagle Palms for additional tenure and merit badges. Although Eagle is the highest rank, for which Scouts should strive, the number of Scouts achieving First Class within one year of joining is still one of the key measures of unit effectiveness. Studies have shown that if a Scout achieves First Class within a year of joining, he typically stays in Scouting for at least three years. Scouts who do so are more likely to retain Scout values as an adult and achieve the BSA primary mission of "producing useful citizens". Ranks and other recognition are presented in a troop awards ceremony called the court of honor. The Eagle Scout rank is usually presented in a separate and special court of honor. Scouts BSA leaders who complete training, tenure, and performance requirements are recognized by a system of awards. The Scouters Training Award is available to leaders, while the Scouter's Key and Scoutmaster Award of Merit are only available to the Scoutmaster. The pinnacle of Scout leader training is Wood Badge, for which successful participants receive a special neckerchief, woggle and wooden beads on a thong. Several religious emblems programs are administered by various religious institutions and recognized by the BSA. These are generally recognized by a medal and an embroidered square knot. Other advancement and recognitions—such as the 50-miler award, Crime Prevention Awards, Emergency Preparedness Award and World Conservation Award—are available to Scouts who show proficiency in special areas. BSA's National Court of Honor is responsible for lifesaving and meritorious awards. All Courts of Honor for Eagle Scout rank are convened as National Courts of Honor also. Every troop has two separate leadership structures: one consisting of Scouts and another consisting of adults. The adult leadership manages the logistics of troop activities, administers rank advancement and awards, maintains troop records and finance, and recruits new Scouts and adult leaders. The youth leadership keeps order and coordinates labor at activities. Scouts and adults cooperate to plan agendas for troop meetings, as well as the troop's schedule of outings. The troop committee is made up of responsible adults who are approved by the local council and the chartered organization. The committee chair leads the committee and appoints its members to specific tasks such as treasurer, secretary, advancement, activities, equipment, and membership. The committee and the chartered organization representative are responsible for the selection of the Scoutmaster and assistant Scoutmasters. The Scoutmaster must be at least twenty-one and is directly responsible for training and guiding the youth leaders, working with other adults to bring Scouting to youth, and for using the methods of Scouting to achieve the aims of Scouting. A troop may have a chaplain who helps to provide a spiritual element in the unit program, provides spiritual counseling as needed, and encourage Scouts to participate in the religious emblems program. The youth leader of the troop is the senior patrol leader (SPL), elected by the Scouts in the troop. The SPL is responsible for the overall performance of the troop, runs troop meetings and ensures that the program for troop meetings and other activities is carried out and is advised by the Scoutmaster. There may also be one or more assistant senior patrol leaders. Each patrol elects a patrol leader who then appoints an assistant patrol leader and other positions within the patrol. Together, the senior patrol leader, assistant senior patrol leader, and patrol leaders make up the patrol leaders council (PLC), the group of Scouts that is responsible for developing the troop's program with the advice of the Scoutmaster. There are other youth positions of responsibility in a troop; the use of these positions is dependent on the size of the troop and the program. The junior assistant Scoutmaster (JASM) is a 16- or 17-year-old Scout who performs the same duties as an assistant Scoutmaster; the scribe takes minutes at patrol leaders council meetings and troop meetings and is often responsible for taking attendance and collecting money or dues; the quartermaster maintains the troop's equipment; the librarian maintains the troop library; the chaplain aide works with the troop chaplain and promotes the religious program in the troop; the troop historian maintains photos and records of troop functions, meetings and outings; a den chief works with a den of Cub Scouts, assisting the den leaders and helps retain Cub Scouts when they cross over into Scouts BSA; the troop guide is a senior Scout who provides guidance to new Scout patrols; the Leave No Trace Coordinator ensures the Scouts are trained in and follow Leave No Trace Guidelines; the Order of the Arrow representative provides a line of communication between the Order of the Arrow and the troop; the bugler provides music as needed; the instructor teaches Scout skills. These troop positions are appointed by the senior patrol leader with the advice and counsel of the Scoutmaster, except for the Junior Assistant Scoutmaster, who is appointed by the Scoutmaster. Some positions may also be determined by election. Boy Scout Memorial in President's Park, Washington, D.C. The BSA has a defined Youth Leadership Training Continuum to provide a growth path for youth leaders. The Scoutmaster provides Troop Leadership Training (TLT) at the troop level. Youth leaders are encouraged to attend National Youth Leadership Training (NYLT) at the council level and a select few may progress to National Advanced Youth Leadership Experience (NAYLE) at the national level. Those interested in staffing these courses may complete the Youth Staff Development Course (YSDC) at the regional level. New adult leaders are encouraged to attend training for their position. Completion of such training became mandatory for Scoutmasters in January 2011 and for Assistant Scoutmasters in January 2012. This training provides the essential information they need to provide a safe and successful quality program. Fast Start Training is the introduction for adult leaders new to the Scouts BSA program; it is self paced and provided as a video or online. "This is Scouting" is common online core training for adult leaders in BSA and gives an overview of the Scouting Program. Youth Protection Training (YPT) covers the BSA policies on preventing child abuse, including types and signs of abuse, how to respond to disclosed abuse and how to report suspected abuse. All Adult leaders are required to complete the Youth Protection Program before becoming registered. YPT re certification is required every two years and may be completed online. At least one person with current YPT certification must be preset on all outings. Scoutmasters and assistants should then attend Scoutmaster and Assistant Scoutmaster Specific Training and Introduction to Outdoor Leader Skills for further instruction in Scouting and outdoor skills. This completes Basic Leader Training for these positions and the Trained emblem may be worn. The troop committee chairman and members should attend the Troop Committee Challenge for instruction in administering the program. This completes Basic Leader Training for these positions and the Trained emblem may be worn. Supplemental training modules are designed to provide orientation beyond Basic Leader Training. These shorter training sessions are often provided at the District Roundtable, a monthly meeting of leaders from the district, at a University of Scouting offered by the local councils, and at National Training Conferences held at the Philmont Training Center and the Florida National High Adventure Sea Base. At least one leader with current Safe Swim Defense training is required for swimming activities. Boating activities require Safety Afloat and CPR training. Climb on Safely training and CPR certification are required for climbing and rappelling events. Wood Badge is advanced training for leadership skills for adults in the BSA. Wood Badge consists of six days of training (usually presented as two three-day weekends) and an application phase of several months. When training is complete, leaders are recognized with the Wood Badge beads, neckerchief, and woggle. Powder Horn is a high adventure resource course designed to help Scout leaders to safely conduct outdoor activities of a fun and challenging nature, provide an introduction to the resources necessary to successfully lead their youth through a program of high adventure and to understand what is involved in different high adventure disciplines. ^ Boy Scouts of America Youth Application (PDF). Boy Scouts of America. #28-406B. Archived from the original (PDF) on May 28, 2008. Retrieved March 10, 2008. ^ "Overview of Boy Scouts of America". Boy Scouts of America. 2013. ^ "What Is Boy Scouting?". Boy Scouts of America. Archived from the original on May 27, 2008. Retrieved May 29, 2008. ^ News, A. B. C. (October 12, 2017). "Boy Scouts allowing girls into Cub program, but will keep them separate". ABC News. Retrieved July 20, 2018. ^ "Boy Scouts Changing Name To 'Scouts BSA', As Girls Welcomed into Program". NPR. ^ "2005 National Scout Jambore". Boy Scouts of America. Retrieved June 25, 2008. ^ "What Is Boy Scouting?". BSA Fact Sheet. Boy Scouts of America. Archived from the original on May 27, 2008. Retrieved February 27, 2006. ^ "The Origin of the Left Hand Shake". ScoutXing.com. Archived from the original on August 7, 2007. Retrieved February 14, 2007. ^ "The Left-Hand Handshake". The Scouting Pages. Retrieved February 14, 2007. ^ Baden-Powell, Robert. "Lessons From The Varsity of Life". Archived from the original on December 2, 2006. Retrieved February 17, 2007. ^ The Boy Scout Handbook (11th ed.). Irving, Texas: Boy Scouts of America. 1998. pp. 7, 9. ISBN 0-8395-3105-2. ^ Peterson, Robert (2002). "From Doughboy Duds to Oscar de la Renta". Scouting. Boy Scouts of America. Retrieved January 12, 2006. ^ "Boy Scout/Varsity Scout Uniform Inspection Sheet" (PDF). Boy Scouts of America. 2000. #34283. Retrieved December 20, 2006. ^ a b c d e f g h "Boy Scouts of America Organization". Boyscouttrail.com. Retrieved February 17, 2007. ^ "The Patrol System". World Organization of the Scout Movement. Archived from the original on September 30, 2007. Retrieved February 14, 2007. ^ "BSA Fact Sheet: What Is the Lone Scout Plan?". Boy Scouts of America. Archived from the original on March 13, 2008. Retrieved February 7, 2006. ^ Davis, Ken (2000). Brotherhood of Cheerful Service: A History of the Order of the Arrow (3rd ed.). Boy Scouts of America. ^ Block, Nelson (2000). A Thing of the Spirit, The Life of E. Urner Goodman. Boy Scouts of America. ^ "Boy Scout Joining Requirements". U.S. Scouting Service Project. Retrieved December 2, 2008. ^ "Tenderfoot Rank Requirements". U.S. Scouting Service Project. Retrieved February 21, 2008. ^ "Second Class Rank Requirements". U.S. Scouting Service Project. Retrieved February 21, 2008. ^ "First Class Rank Requirements". U.S. Scouting Service Project. Retrieved February 25, 2008. ^ "Star Rank Requirements". U.S. Scouting Service Project. Retrieved December 2, 2008. ^ "Life Rank Requirements". U.S. Scouting Service Project. Retrieved December 2, 2008. ^ "Eagle Rank Requirements". U.S. Scouting Service Project. Retrieved May 29, 2009. ^ Scoutmaster Handbook. Irving, Texas: Boy Scouts of America. 1998. p. 119. ^ "Boy Scout Awards". Boy Scout Trail. Retrieved February 14, 2007. ^ "National Court of Honor – Lifesaving and Meritorious Awards". U.S. Scouting Service Project. Retrieved April 28, 2008. ^ "Manual for Chaplain Aides and Chaplains". Boy Scouts of America. 2008. Retrieved June 25, 2008. ^ "The Youth Leadership Training Continuum: A Guide for Scout Leaders and Parents". Boy Scouts of America. Retrieved March 22, 2007. ^ "Every Boy Deserves a Trained Leader". Boy Scouts of America. Retrieved March 8, 2006. ^ a b c "BSA Online Learning Center". Boy Scouts of America. Retrieved April 12, 2006. Ray, Mark A. (2003). The Scoutmaster's Other Handbook. Ray Publishing. ISBN 0-9651207-3-2. Reed, Jeremy C.; Reed, Heather R. (2011). Beginning Boy Scouts: An unofficial practical guide to Boy Scouting for parents and new leaders. Reed Media Services. ISBN 978-1-937516-01-7. 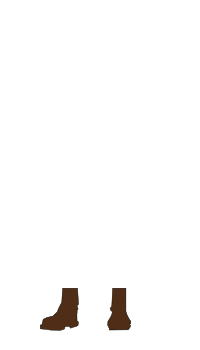 This page was last edited on 8 April 2019, at 02:05 (UTC).